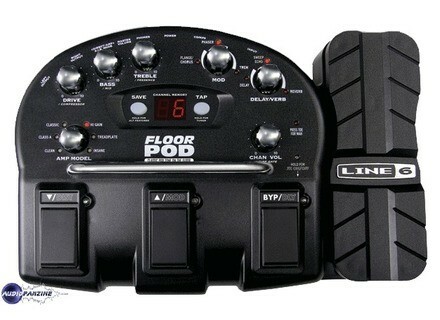 Floor POD, Guitar Amp Simulation Pedal from Line 6 in the POD Floor series. Voil brive outline that this small caractrisent pdalier in plastoc. 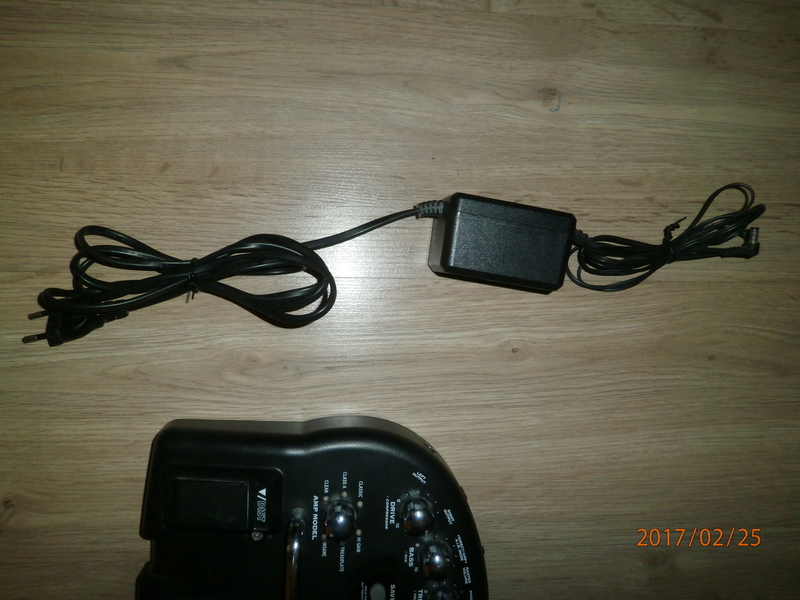 For more details visit the site "LINE6"
Actually, I have not used for long: He returned directly reach the Tagra the store where I bought it after two days! But I waited impatiently for the release of this pdalier.C 'silent a good idea / concept to a pdalier "basic" grouping effects or indispensales traditional guitarist; with simus Amp clbres and a door prize of all. In addition, samples / DMOS the FLOOR POD LINE6 on the site are quite "touts" but misleading and suddenly we have done: We forget that derrire console mix, there is probably a pro! So in the end, I opt for a ZOOM A2-1u, and really has nothing to see!. In addition, it is cheaper and has allowed me to buy lamps for my amp! used with a Fender Start HSS and a Marshall amp: that happiness! Russianness to another Line 6! 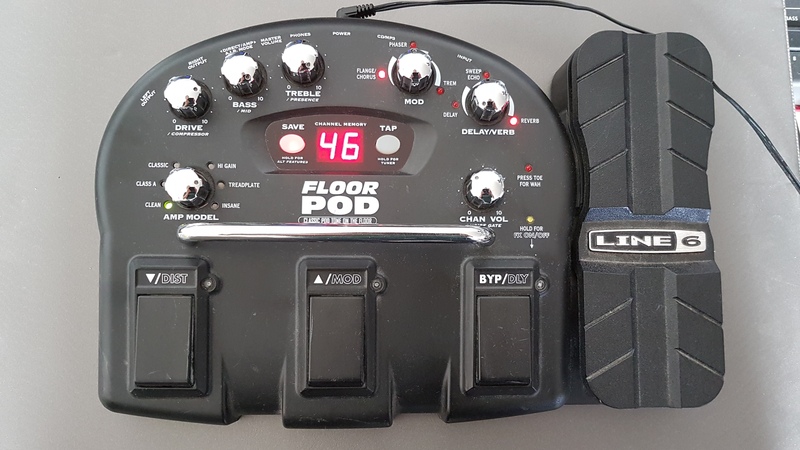 I use the pod with a Flying V BC Rich NT and various amps (those found at the scene together ....) I only use a few effects and it is especially to be able to carry around a good distortion on any amp I opt for this floorpod. In short I needed to lug my amp rglages everywhere and it really is the perfect tool. Line 6 is the modlisation amp is really a love story, it must be said finger and the ear (if aieaieaie). I use the pod for nine months, and I am delighted. 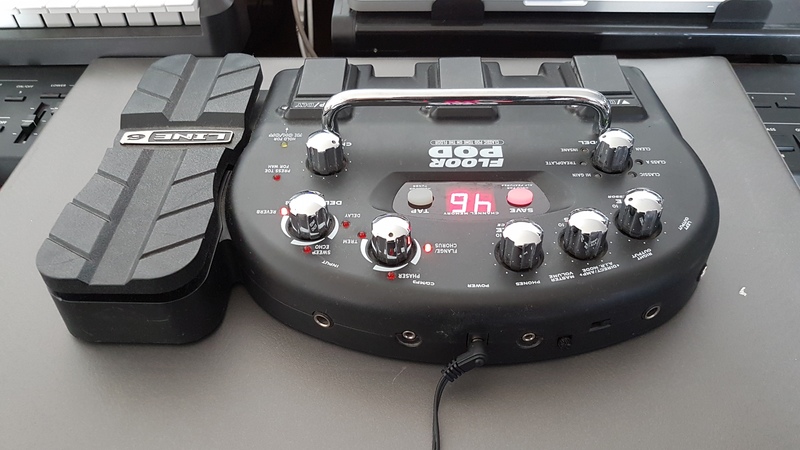 Line 6 gnral, we love it or dtest but I remain convinced that the default of the countless floorpod you see on the net are often default guitarist who uses it. It's really the IDAL to a guitarist who wants to have his nikel in any situation and wants to color his game without being a fanatic forcment effects of all kinds. I put a particular mention to the duo spcial BC Rich / Line 6, which really helps to get heavy and powerful sound at the same time hyper prcis, IDAL for mtal is the perfect duo. In addition, on any amp in any room, it's really childish to correct its rglages to really get the sound DSIR. on the other hand I repeat, the fan will be any effects trsdus, they should better orient themselves on the other pod o Fully mtriels dvous the effect. The effects of casual fans will be delighted on the other hand, and mtaleux enchants. I said that this product will serve as my backup and Woodbrass pedals allowed me to find it at a reasonable price (do Google to compare prices and thereby make a difference!). 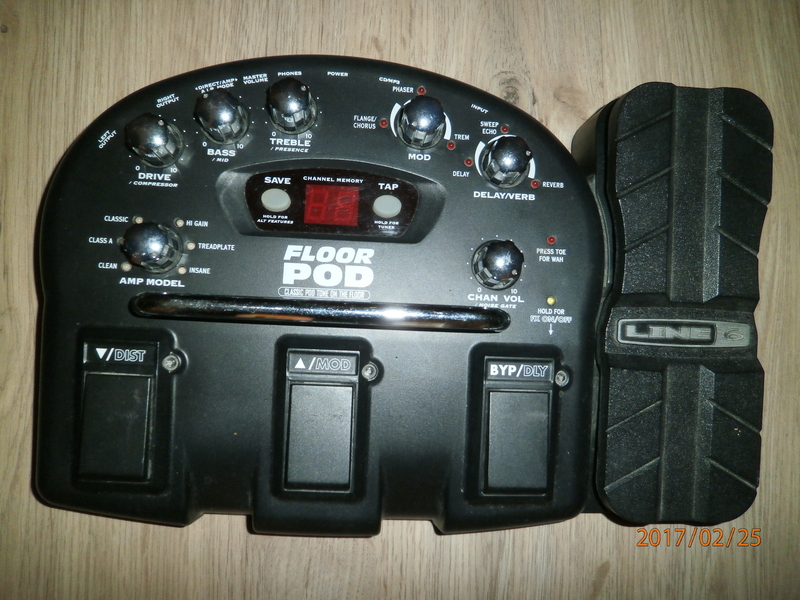 In fact I already have a POD 2.0 with its Floorboard pedal and I am satisfied. good product easy to use, it can be implemented quickly and enjoy. 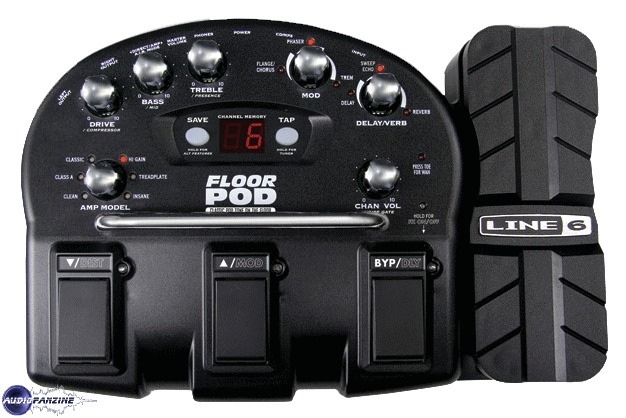 the sounds of the amps are there, I trust because I 've never tried all the amps real FloorPod modeling offers. one can only scroll through the backups by incrementing its pressure on the foot switches, so be careful to get organized because it is not ideal on stage, the limit for each piece, provide only two sound rated by side. So I'm a little disappointed that the third switch does not align a third backup. The compressor and gain control are operative, by equalizing against the east month, especially the serious button inefficient. the effects of modulation and delay / reverb will be used sparingly under penalty of its imprecise and too delusional. the pedal is nice, the wah-wah I would say there are better blah! the noise gate is especially useful for sounds "modern high gain", otherwise the box wasp we break the ears. sure thereby to compensate for the sustain with the compressor because the noise gate will tend to decrease it. the bypass can be very useful if you want to find and enjoy your amp real end of the chain and extend the possibilities, against cuts / establishment effect is not obvious, the supposed cut distortion does not work from conclusive, however the outage effects works well. I use my telecaster Japan in 1989 with a Mesa Boogie Mark 3. My average score rose to 7 / 10 so pretty good overall, a little experience can raise the note!